Make sure your USB Type C devices are always fully charged and synced with the USB-C to USB-C cable. With transfer speeds up to 10Gbps and capable of power delivery, this USB 3.1 compatible cable is ready for your transfer / charging needs. Designed to connect smartphones, tablets and other USB-C (also known as USB Type-C) equipped hardware to USB-C powered equipment so you can charge and sync your device. Transfer files quickly between your two USB-C compatible devices with this fast Goobay USB 3.1 cable. 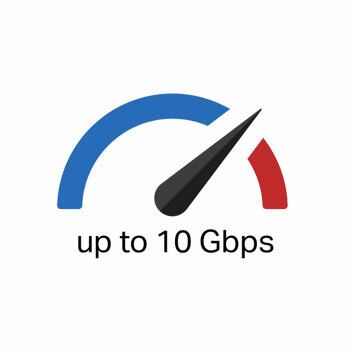 Supporting speeds up to 10Gbps, you can be sure you won't be waiting long to copy your photos, music, videos or documents. Supporting up to 3 Amps power transfer, you can be sure your devices are charging as quickly as your USB charger will allow. 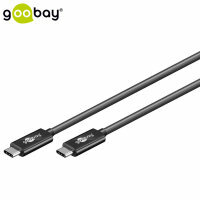 No more plugging in your USB cable the wrong way around as the Goobay USB-C connectors are fully reversible, removing entirely those frustrating moments. This quality cable allows you to connect your USB-C compatible laptop or desktop to your USB-C compatible device to charge and exchange / sync data simultaneously.